Gutter Replacements are often necessary if the gutters on your home have been severely damaged in a storm, from a falling tree or a large branch for example. Maybe you want to replace your old gutters with a newer more modern gutter system that you won't have to clean a few times a year. 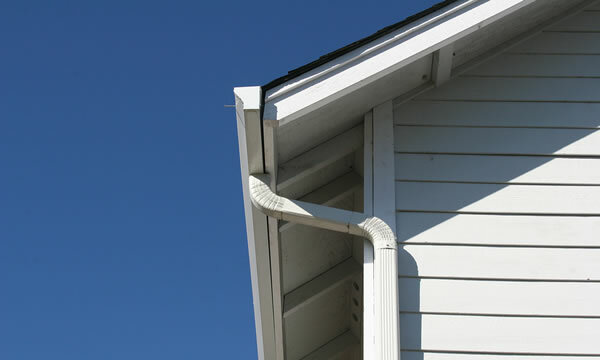 Either way, gutters and their function serve a critical role in your homes health. Damaged Gutters, or installations that were poorly thought out don't channel the water away from your home and into the drain tiles like they are supposed to. If left unchecked, usually for many months, or even years the water that's not being channeled away from your home could actually start to cause water damage to walls, the inner structure of your home, and even your foundation. There are many leaky basements in the Indiana area that could have the source traced back to a failed gutter system. RB Contracting has been working on and improving homes in the Indiana area for over 26 years. We've seen it all when it comes to water damage on local homes and buildings, and we're careful not to let the same fate befall any of our customers. Our expert gutter techs are the best at what they do, and they pay attention to the little details that make a big difference in your gutter system. Vinyl and Plastic Gutters and Downspouts - Many homes around Indiana will have Vinyl or Plastic Gutters, especially if the homeowner likes to install the product themselves. Readily available to the homeowner at most hardware stores and fairly easy to install. This type of gutter is not very durable however, and can be damaged by items such as a medium sized tree branch falling on it, or a heavy ladder being placed on it. Obviously plastic and vinyl gutters are rust resistant and they won't rot but RB Contracting usually doesn't recommend Vinyl or Plastic when it comes to the gutter replacement on your home. Aluminum Gutters and Downspouts - These are probably the most common type of gutter system you'll find on Indiana homes. These gutters are usually a little larger than the vinyl and plastic ones, and are capable of channeling more water away from your home. With aluminum gutters it's important to choose the thickest you can afford, these are going to be the most durable, and will give you many years of service. RB Contracting installs Aluminum Gutters and Downspouts in many different styles as well as on very complex and steep roof lines. Steel Gutters - Galvanized-steel gutters are definitely an economical choice for home owners. Galvanized Steel is quite strong, so it will hold up to plenty of abuse. Gutter replacements are also available in Stainless Steel which is obviously very are strong and also rust-free. They also look great on your home or building. They are however much more expensive than other varieties.